LUCERNE, Switzerland, Feb. 11, 2013 – Xerox’s new CiPress™ 500 and 325 Single Engine Duplex (SED) Production Inkjet Systems make it easier for printers to produce lower volumes of transactional, direct marketing, catalogues, books and manuals – at a lower cost of ownership. Unveiled today at Hunkeler Innovationdays, the CiPress SED is a powerful single engine configuration – with many of the same features as the twin engine devices, the Xerox CiPress 500 and 325 Production Inkjet Systems. The CiPress SED’s compact configuration – suitable for operations with limited floor space – prints duplex jobs, one-up on a narrow 241mm (9.5") web at 152m (500 feet) or 100m (325 feet) per minute. Using Xerox’s waterless inks, the CiPress SED produces vibrant, full-colour images and graphics on low-cost, plain papers. An ink optimisation mode reduces the amount of ink coverage on pages that have more text and fewer graphics. Ink monitoring reports let printers know the exact amount of ink used for precise job costing. Be more productive – with built-in automated closed loop self-correcting controls that improve uptime. Print more jobs – with Xerox FreeFlow® Print Server which handles complex variable jobs without sacrificing print speed. It offers native support for IPDS, PDF, PS and VIPP. Be environmentally responsible – with inks that are safe and non-toxic; output is certified “Good Deinkable” by INGEDE. 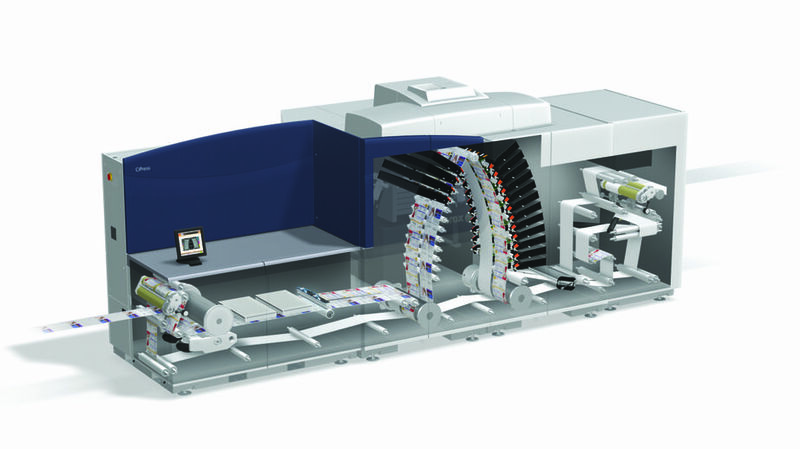 CW NIEMEYER DRUCK (CWN), a full-service production company based in Germany, purchased the Xerox CiPress 500 Production Inkjet System at drupa 2012. CWN relied on the CiPress 500 to create high-value fashion catalogues with variable content, which generated up to 400 percent higher response rates than ones previously produced on offset. They cite the device’s high-volume personalisation, ability to run on plain paper and offset-comparable image quality as key benefits. The CiPress Single Engine Duplex configuration will be available for worldwide order taking at Hunkeler Innovationdays, Feb. 11-15 in Lucerne, Switzerland; customer deliveries begin in April. Xerox U.K. is the U.K. operation of Xerox. With sales approaching $23 billion, Xerox is the world’s leading enterprise for business process and document management. Its technology, expertise and services enable workplaces – from small businesses to large global enterprises – to simplify the way work gets done so they operate more effectively and focus more on what matters most: their real business. Headquartered in Norwalk, Conn., Xerox offers business process outsourcing andIT outsourcing services, including data processing, healthcare solutions, HR benefits management, finance support, transportation solutions, and customer relationship management services for commercial and government organisations worldwide. The company also provides extensive leading-edge document technology, services, software and genuine Xerox supplies for graphic communication and office printing environments of any size. The 140,000 people of Xerox serve clients in more than 160 countries. For more information, visit http://www.xerox.co.uk, http://news.xerox.co.uk orhttp://www.realbusiness.com. For investor information, visit http://www.xerox.com/investor. Xerox also has manufacturing and logistics operations in Ireland, the U.K. and the Netherlands, and a research and development facility – Xerox Research Centre Europe – in Grenoble, France. Note: To receive RSS news feeds, visit http://news.xerox.com/pr/xerox/rss.aspx. For open commentary, industry perspectives and views visit http://twitter.com/XeroxUK,http://realbusinessatxerox.blogs.xerox.com, http://www.facebook.com/XeroxCorp,http://www.youtube.com/XeroxCorp. XEROX®, XEROX and Design®, WorkCentre®, Phaser® and CentreWare® are trademarks of Xerox in the United States and/or other countries. 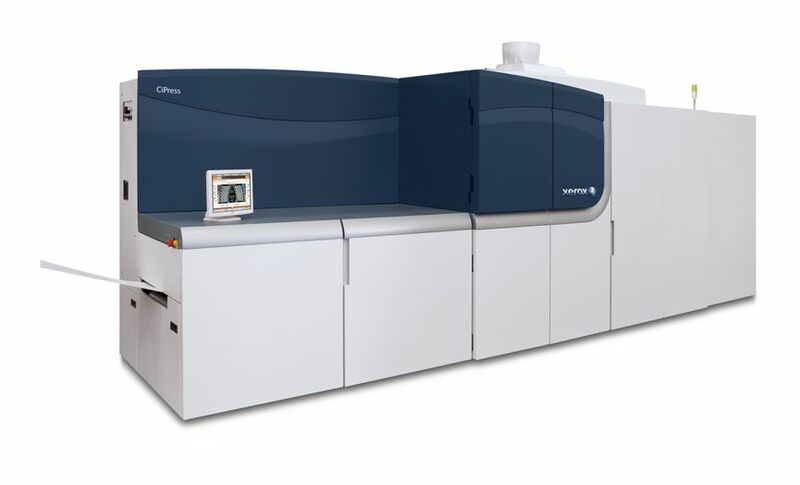 The latest addition to the CiPressTM family, the CiPress 500 and 325 Single Engine Duplex (SED) Production Inkjet Systems enable print providers to produce full-colour images and graphics on low-cost, plain papers. The CiPress 500 and 325 Single Engine Duplex (SED) Production Inkjet Systems are compact, yet powerful, single engine configurations with many of the same features as the preceding twin engine devices.